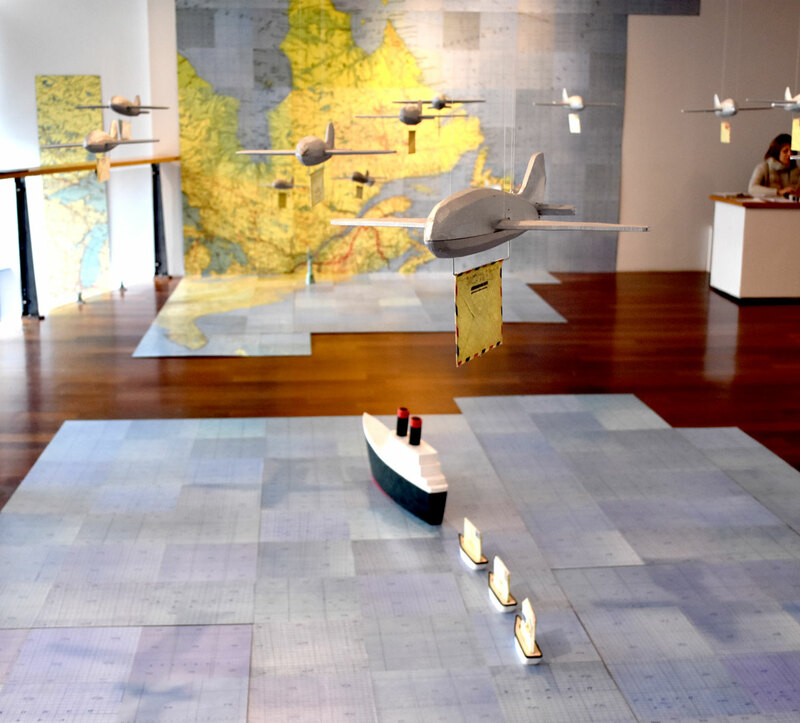 Jessica Straus ruminates on love and war in “TransAtlantic,” the Newton artist’s installation at Boston Sculptors Gallery from Dec. 12, 2018, to Jan. 27, 2019. 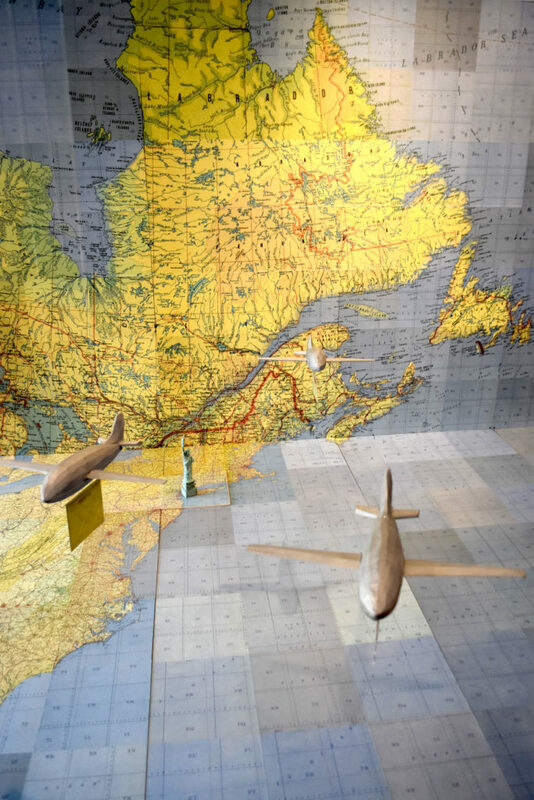 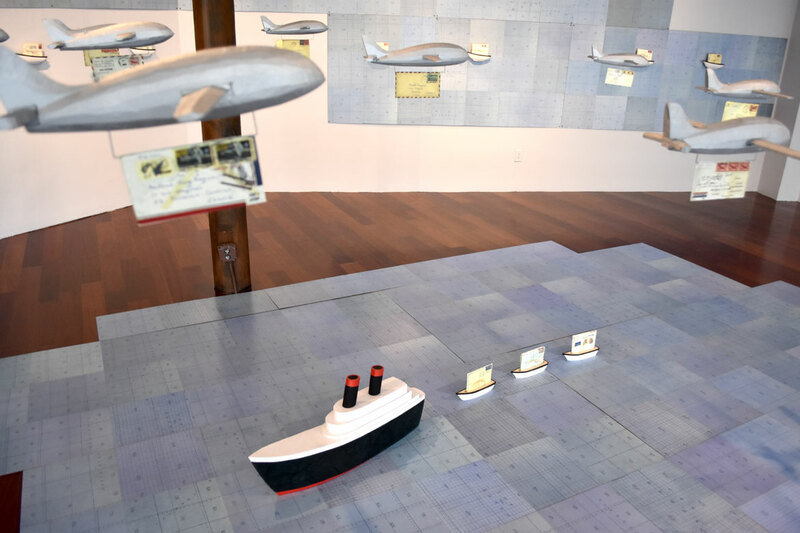 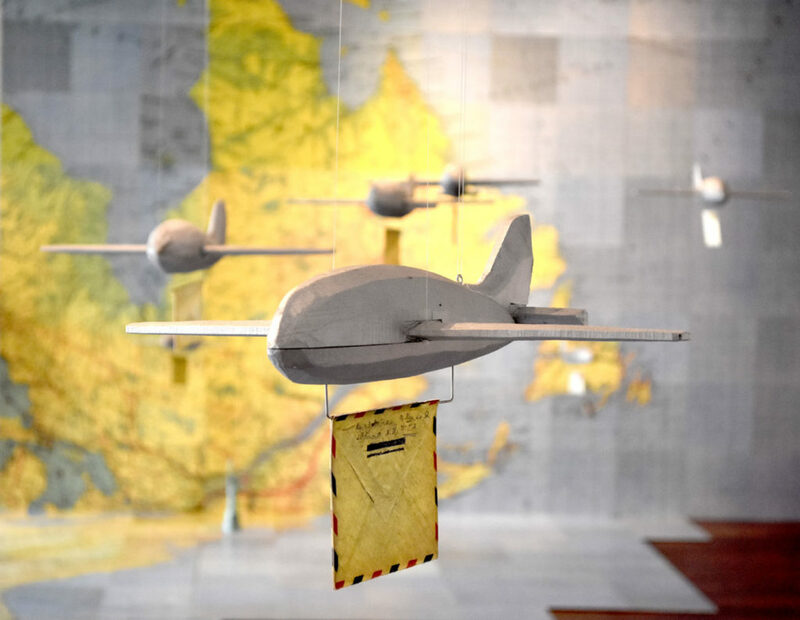 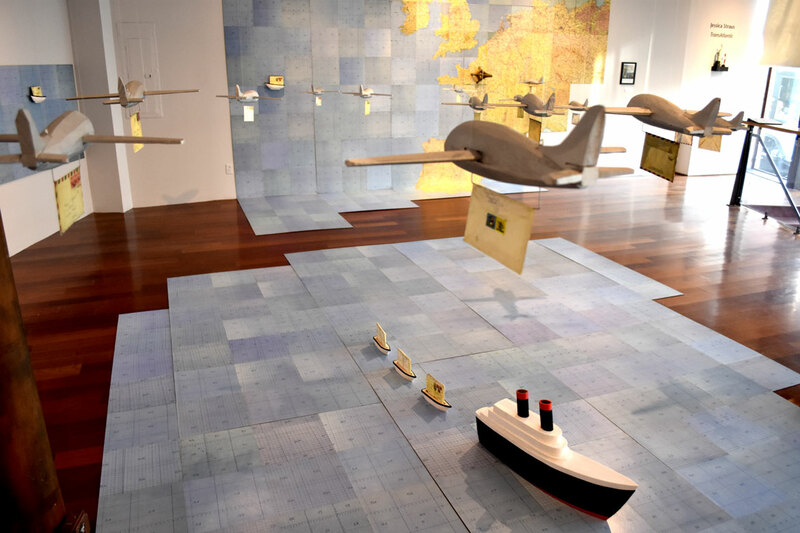 Maps of eastern North America and western Europe cover the gallery’s walls and floor with model boats and planes ferrying letters between France and Portsmouth, New Hampshire. 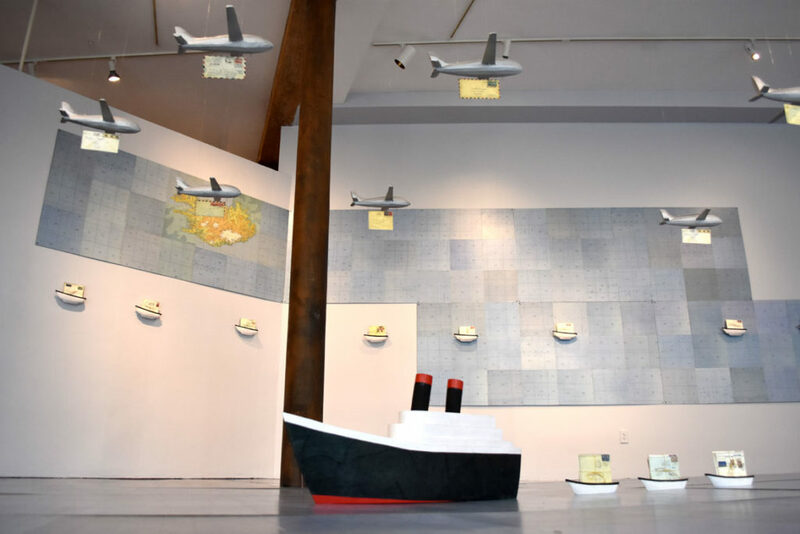 Originally commissioned for as a site-specific installation in France’s northwestern Normandy region, the artwork was sparked by a story from World War II. “Straus’s parents met as a result of her American father’s participation as a soldier in the Normandy invasion and subsequent march into Paris, where he met the artist’s mother, a French student,” the gallery announcement explains.